Direct communication is when the meaning of the message is communicated mainly via words. Indirect communication is when meaning is not only in the words, but mainly in the surrounding context of a conversation. In other words, somebody who is indirect will leave it up to the listener to fill in the blanks and make out the meaning by correctly reading the contextual clues (e.g. non-verbal communication, status and/or age of people involved in the conversation, attire, etc.). 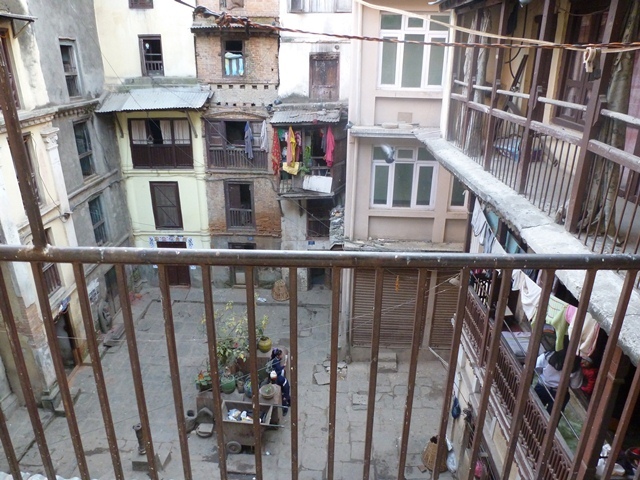 Before I spent time in Nepali, I thought of it as being a very indirect place. And from what I’ve heard about Asia as a whole, most cultures here supposedly employ indirect communication styles. To an extent, it is true that things in Nepal are said in an indirect way. For instance, it’s rude to say no to something outright unless you have a very good reason. I have a good example of this. The organization that our friend works for was organizing a community cleanup the other day, and she and the other members went door-to-door around the neighborhood asking people if they would like to help. She was lamenting to us at lunch yesterday that although everyone would agree to help out when she met them face-to-face, she knew they weren’t going to come for the clean up, and very few of them did. When I first visited Nepal in 2009, I thought almost everything would be expressed in an indirect way, in a style similar to the one mentioned in the example above. However, people can be surprisingly open and direct about certain things. Weight is one of them. It’s pretty rude in the US to talk to people about their weight, except with close friends or family. Even then, it can be a touchy subject. But here, it’s completely the opposite. Everyone is always talking about how someone has lost or gained a few pounds. People talk about it with each other and say it directly to the person whose weight is being discussed. It can be strange or even offensive to people who aren’t used to discussing something that may seem so personal, but weight is not considered to be such a personal thing in Nepal. Discussing someone’s weight is also a way to show that you care about them. You might be concerned that they’ve lost some weight, maybe they’re sick or stressed out at work, and you show that concern by commenting on it. I’ve gotten used to people commenting on weight, but I still find other, very direct comments pretty off-putting. The other night, we were at dinner with some family we see very rarely. We were talking about water problems and how it’s important to treat or filter the water that comes from the tap. 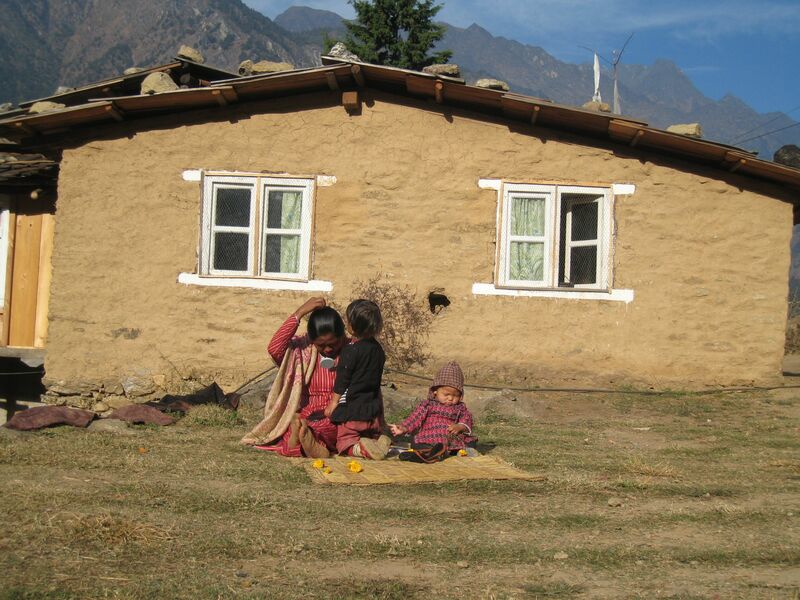 Buwa was asking two of the people (a mother and daugher-in-law) if they brush with the untreated water from their house tap, and they said yes. Their teeth did look kind of black, but I could never imagine pointing that out to them. Of course, Buwa’s relationship with them is very different than my relationship with them. He’s much closer to them than I am. But to me, that comment sounded so very direct! I don’t think I’ve ever heard someone say something similar in English. I could imagine someone trying to torment another person by turning it into a gibe, but never could I see it said in good faith. Buwa was definitely saying it in good faith. Another direct comment took me by surprise today. I had to go to the asthma doctor to get my medicine adjusted. I don’t know this man personally; I had never even met this guy before today (although he does know Tri). As I was getting up on the examination table, he asked, “How long have you two been married?” Tri exagerated a bit, answering with, “almost a year” (even though it’s only been about eight months). The doctor replied by saying, “In Nepal, if you’ve been married a year and are not pregnant, people start asking questions.” He proceeded to give me an awkward eyebrow raise. I think I turned bright red on the exam table. I’ve had other people ask me if I’m planning to have kids, but they’ve been very close to me and it has always happened in a private setting, not in a public exam room with about 10 other people in it! I guess he could have been more direct by saying, “Why aren’t you pregnant already?” Maybe I should thank him for his indirectness. Would a doctor have said something like that to me in the US? I don’t think so. I’ve heard of women in the US being asked when they’re going to have kids, but only by other women they know. This type of directness really catches me off guard sometimes. Will I ever get used to it? Today was god Shiva’s birthday. We stayed at Mama’s house last night, and this morning, during breakfast, I asked how old Shiva is today. Everybody laughed. So I guess he’s too old to count. 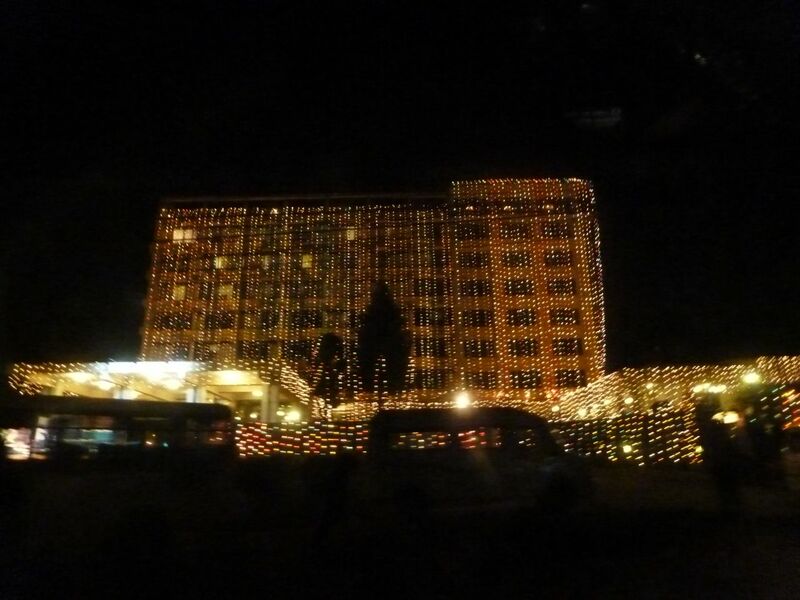 But that hasn’t lessened the intensity of the celebration of his birth, at least not in Kathmandu. People have been warning me this past week that Maha Shivaratri can be a crazy holiday. 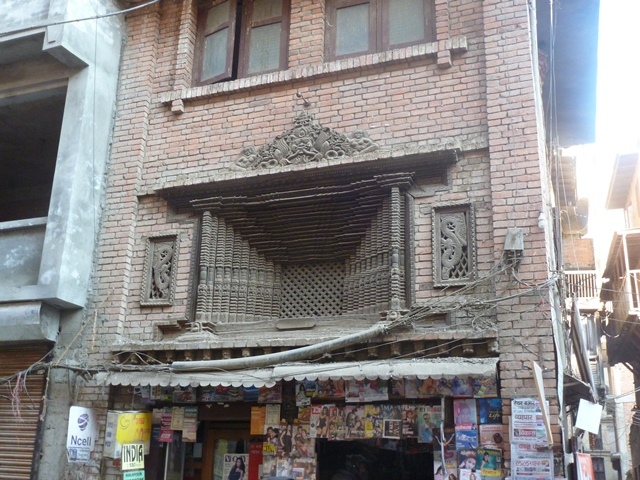 Hindus living in Kathmandu and many Indian Hindus come into Nepal to visit Pashupatinath, one of the holiest Hindu temples in Nepal and even in South Asia. I wanted to go there and check out the crowd, but Tri said that there would be way too many people and that it would be impossible to get anywhere near the action. Because we had the day off, though, we did get to see some of the festivities. During Shivaratri, kids gather in groups in the street to ask for money. 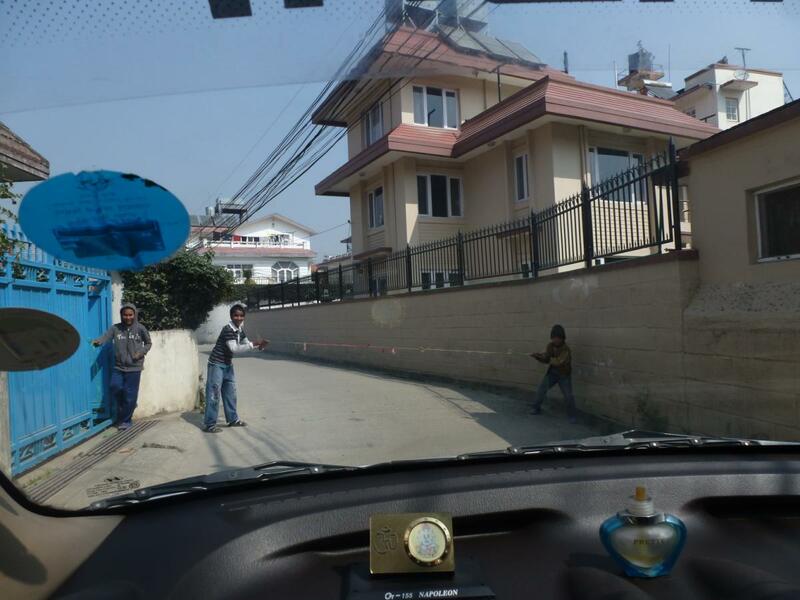 In the morning, when we left Mama’s house, some kids stopped us on the road with a rope. A few drivers were obviously irritated by the kids and were just driving right over the rope, ignoring the poor kids’ plees for money. But we stopped, paid the toll of a few rupees and kept on going. We had to make a quick trip to the doctor this morning, and after we got out of his office, we looked up at the sky to see people floating down with colorful parachutes trailing behind them. Tri was so excited and spent about ten minutes staring at them. It has been six years since he’s seen this, so I understand his excitement 🙂 Apparently, the men in the sky were all soldiers. Shivaratri is a big holiday not only for Pashupathi goers but for the army as well. Last week, I saw tanks assembling in Tundikhel (a big field in the middle of Kathmandu) and soldiers preparing for the festivities. Another thing that people do on this day is eat bhang, a marijuana derivative. A lot of people, even those who wouldn’t normally touch the stuff, have a little bit of bhang on Shivaratri, and the Nepali government legalizes it for just one day. Shiva is/was a lover of marijuana, so eating it honors him in a way. Tri was saying that we had to be especially careful on the roads today because accidents on Shivaratri are common. In fact, a few years ago, one of his teachers from high school died after riding his motorbike while high. If you’re going to eat this stuff, please don’t drive! There are aparently two types of bhang, one that doesn’t make a peson high and one that does. The first kind is added to achaar. I guess as a flavoring? The kind that does have an effect is often added to some kind of milk drink. I still haven’t seen anyone stumbling around the streets yet, but I’m keeping my eyes peeled. For more information on Maha Shivaratri, check out nepaliaustralian’s blog. 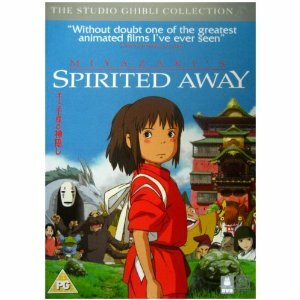 I just re-watched one of my favorite movies of all time, Spirited Away, directed by Hayao Miyazaki. All of his films are fantastic, both light-hearted and serious, full of detail, and always tackling universal issues like growing up, forming one’s identify, and conserving natural resources. I’ll give a short synopsis for those who haven’t seen it (spoiler alert)…Spirited Away is about a little girl named Chahiro who moves to new town with her parents. During the drive to their new house, Chahiro’s dad veers off the main road to explore a bit, and they end up at the entrance to an abandoned theme park. While walking around, they smell cooking food and head towards the source. The delicious food tempts Chahiro’s parents into eating, and her parents gorge themselves, but Chahiro eats nothing. It turns out that the abandoned park is actually part of the spirit world, and the food that her parents ate was meant for the spirits. Her parents’ piggish behavior turns them into pigs, but Chahiro remains a human. However, despite the fact that she has not been turned into an animal, she has no way to get home, so must start working at the bath house in the spirit world. Over the course of the film, she goes through many trying experiences, learns to work hard, fights a demon, and gains courage and strength that didn’t posess before. She also frees the friend she has made, Haku, from the bonds of the bath house owner, turns her parents back into humans, and leaves the spirit world. One of the underlying themes of the movie has to do with naming and identity. When Chahiro starts working at the bath house in the spirit world, she must handover her name to Ubaba, the owner of the bath house, in order to gain employment there. She is given a new name, Sen. Ubaba controls the workers at the bath house by stealing their names and giving them new ones, so if Chahiro/Sen ever forgets her real name, she can never leave the bath house, which is exactly what happened to her friend Haku. He is a river spirit who forgot his real name and has never been able to stop working for Ubaba. Part of Sen’s adventure includes helping Haku remember his real name and who he is. There is something powerful about the characters’ real names, the knowledge and ownership of which allow them to remain free and independent and avoid the grasp of Ubaba. The power that is accorded to names in the movie reminded me a little bit of the way that names are viewed in Nepali culture. For starters, there are specific rules that dictate when it is appropriate to call someone by their first name and when it is not. It’s impolite to refer to people by first name in many circumstances, especially with elders. We have something similar in English. Children often use kinship terms like mother, father, grandmother and grandfather (or their equivalents like mommy, daddy, etc.) because not doing so is generally impolite. Growing up, I knew a few people who called their parents by their first names, but I always felt weird about doing it with my own parents. This feeling of embarrassment about using first names with elders is multiplied a hundred times in Nepal. It’s extremely rude to call your elders by their first names, so kinship terms are used instead. Each term reveals the particular relationship between the person being referred to and the person using the term. For example, I often mention Mama and Maijiu on this blog. Mama means maternal uncle and is Tri’s mom’s brother. Maijiu means maternal uncle’s wife. Paternal uncle is said in a completely different way (kaka). There’s something about this rule that gives a certain power to first names. I guess that part of it is that uttering someone’s first name suggests that you are senior to them, so saying someone’s name in a way confirms your higher position in the hierarchy. Wives are also not supposed to call their husbands by first names, although husbands can refer to their wives by the first name, a rule that I’m not too keen on. Once, when I was in Nepal two years ago, I was going out with Mamu to the store. 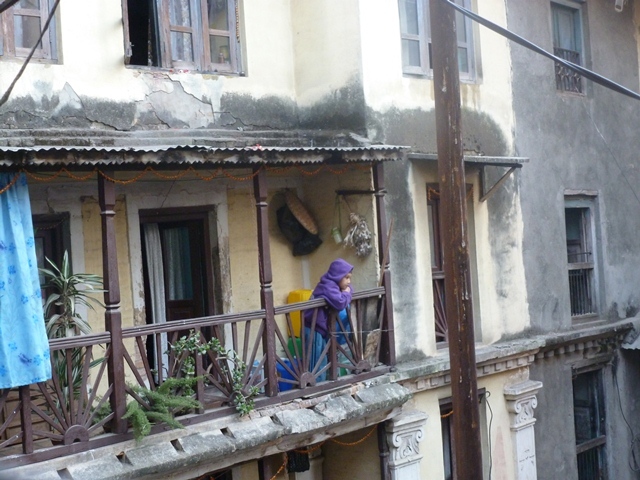 Buwa was going to arrive before we got back to the house but he didn’t have the key, so she asked a neighbor to give him the key when he got there. To refer to Buwa, Mamu wouldn’t say his name; instead, she called him sir, a term the younger neighbor might have used to refer to Buwa (not the name that Mamu would have called Buwa while talking to him). I’ve also heard women refer to their husbands as uhaa or hajur, both honorific third person pronouns that can be used for men or women (the closest equivalents in English are “he,” “she,” “him,” or “her”). There is another part of Nepali Hindu culture that accords power to names. The Nwaran ceremony is a ritual that takes place after the eleventh day in a child’s life (it might be a different day for girls; I’m not sure). During this event, the child is given a “secret name,” based on his horoscope, that he’s not supposed to disclose to anyone else. It reminds me of Christian baptism, although I don’t think the names given during baptism are supposed to be secret. If anyone else finds out about this name, they can supposedly use it to gain power over that person. When I was looking for information on this ceremony, I was able to find stuff about the rituals but not so much about the significance behind them. If anyone knows more about it, please chime in! I’m not sure if my ramblings are really making sense. There’s no direct parallel between Spirited Away and naming practices in Nepal, but something about that movie reminded me of Nepali culture. What do you think? Is it valid to make these connections between Spirited Away and Nepali/Hindu culture? 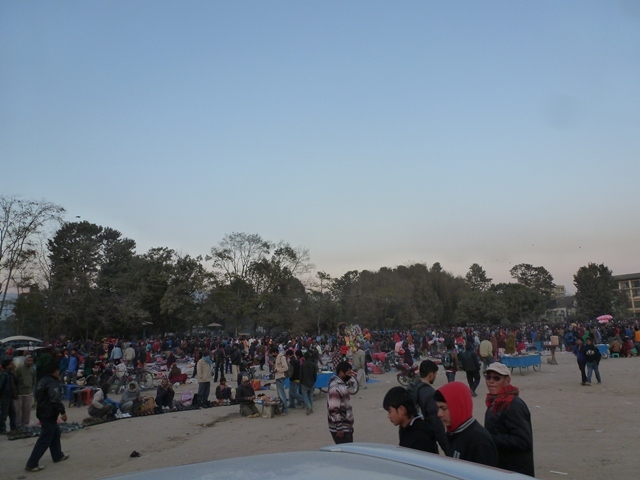 Before the holidays started, I was surprised to learn that there are many Nepalis who celebrate Christmas in Nepal. There is a population of Nepali Christians who celebrate Christmas similar to the way I did growing up (with a Christmas tree and presents), but there are also a number of Nepali Hindus and Buddhists who celebrate without the tree and gifts. The first Christmas tree I saw was at Bhatbateni, the grocery store. They had put out a few trees and thrown some light strings over their bushes, and as Christmas approached, I saw more and more hotels, restaurants, and stores putting out decorations. During Tihar, one of the holidays here, people cover (sometimes from roof to ground) their houses with lights, so many people have lights in store. I asked some Hindus here why they celebrate Christmas, and a lot of them told me that it’s just for fun. One person said that she has special “Christmas friends” who she calls up every year to celebrate with. Another person told me that Christmas and New Year’s are just another excuse to drink! But my plans pretty much amounted to nothing. Even though I wanted to celebrate this year, I was feeling both lazy and sad on Christmas Eve. I was really missing the US and sort of wallowing at home in the dark (because there was no electricity), thinking about how hard it is to celebrate a holiday without having others around to celebrate it with. It makes me all the more impressed with those people abroad who work so hard to organize Dashain parties and celebrations. But anyway, I started to feel better once the lights came back on, so Tri and I decided to make some cookies. One of the things I miss most from the US is good peanut butter. I used to slather it on bread, crackers, put it in my cereal. It was seriously a staple food for me. They have a few brands of peanut butter here, but they’re all incredibly sweet and have trans fats in them, something I try to avoid. So lately we’ve been making our own. There’s a little shop on the way to our house that sells different types of daal and nuts, and it’s convenient for us to get our peanuts from them. 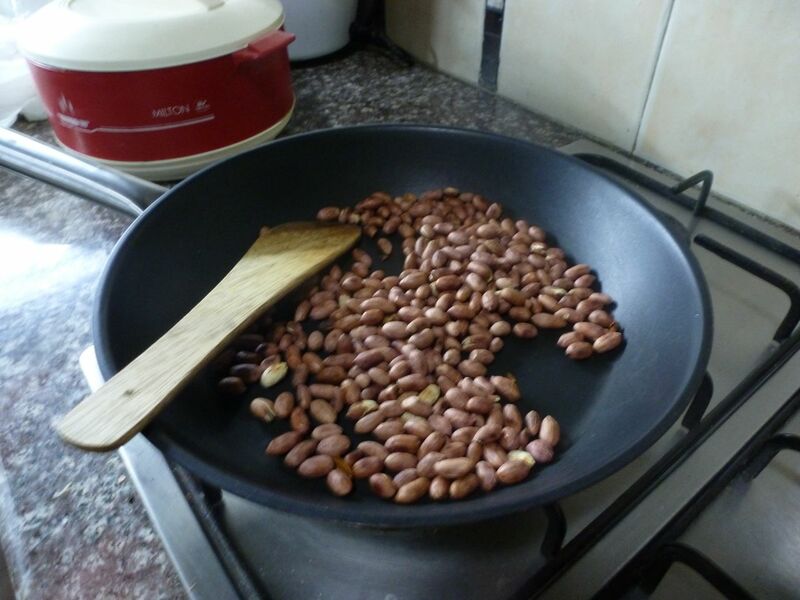 Once we get the peanuts to our kitchen, we roast them in a frying pan. We then throw them in a small food processor with some oil and honey, which results in some pretty darn good peanut butter. 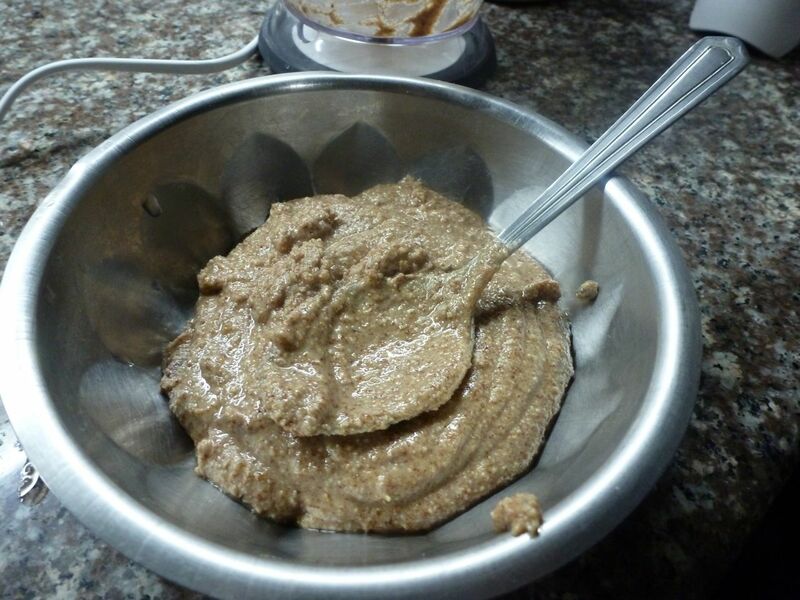 Because we had made some peanut butter that day, we wanted to incorporate it into our cookies, so I looked for a recipe for peanut butter cookies. I found one online for cookies with peanut butter filling. Unfortunately, I haven’t been able to find it again, but trust me, those cookies looked amazing. We decided to try it out, but I can get kind of lazy about following recipes, so I just winged it. I mixed a simple batter of butter, flour, and sugar and then rolled out little patties onto which we put peanut butter balls. We then sealed up the cookies and stuck them in the oven for a while. You can imagine that without following the recipe, the cookies didn’t come out right, and surprise, surprise, that’s exactly what happened. They were far from fluffy with a gooey center, which is what the picture on the website insinuated we were going to get. In fact, they didn’t really taste like cookies at all. They were more like little dense buns. So it wasn’t the Christmas cookie I was hoping for, but it wasn’t all that bad either. For New Year’s Eve, because we hadn’t done much for Christmas, I wanted to actually put some effort into celebrating. That day we were trying to figure out what to do, and I suggested we try to go to the Chhauni museum. I know, I know, going to a museum is not necessarily the typical way to ring in the New Year, but I’ve heard this is a neat place with a collection of old Buddhist and Hindu statues, something I’ve always been interested in. I’ve been wanting to go for a while, so this would have been a real treat. But it closed too early for us to make it, so we scrapped that idea. Then Tri called his friend, and she said that she could meet us in the afternoon. We drove over to Jhamsikel, where she works, and ate pizza and pasta at the Vespar Cafe. Then, since none of us had any other plans, we decided to stay in the area for the evening. We made our way over to Saleways to buy snacks and refreshments and then drove over to where she’s staying. We just hung out and talked and talked until late with a few of her friends. (late meaning about 9:30, which really is late in Nepal 🙂 ). No, we didn’t go to a big bash or stay up till midnight, but for the first time in a long time, I felt really relaxed. I miss being able to talk to people other than Tri in my own language (I talk to Tri in English all the time, but I don’t have deep conversations with anyone in English aside from him). I guess it kind of felt like college again. My family in the US has been skyping us from sunny Florida, and it’s making me miss warm weather. As I mentioned in this post about my toes, the cold is really getting to me, so I’ve been trying to get a little bit of the sun my family is soaking up this week by sunbathing on our roof. In Nepal, there are multiple ways to balance the hot and cold in your body. One way is to eat certain foods at different times of the year or on certain occasions. Oranges are a cold food, so they shouldn’t be eaten when you have a cold or cough because they supposedly make it worse, as I mentioned in this post. I ignore this a lot of the time, though, because they have so much Vitamin C, something I was always told to eat when sick. Sugar is a warm food. A few weekends ago, Nepalis who are part of the Newar ethnic group in Kathmandu celebrated Yomari Purnima. This is a holiday celebrated on the day of the full moon in December, and those who practice it make little dumplings called Yomari, which are often stuffed with a sweet paste made of molasses and sesame. (Ironically I’ve only ever eaten these in the US, at a family friend’s house, but never in Nepal). Anyway, the Yomaris are supposed to be a hot food, good for winter because they’re sweet. Honey is also considered to be a hot food, and some people won’t eat it in the summer because they’re afraid it will make them too warm. I also just learned the other day that after women give birth, their bodies are thought to be cold. So a special food called gutpak is made for them to eat. This food supposedly warms up their bodies. It has sugar and spices in it and is both sweet and bitter (I think because of the methi, fenugreek, that’s in it). 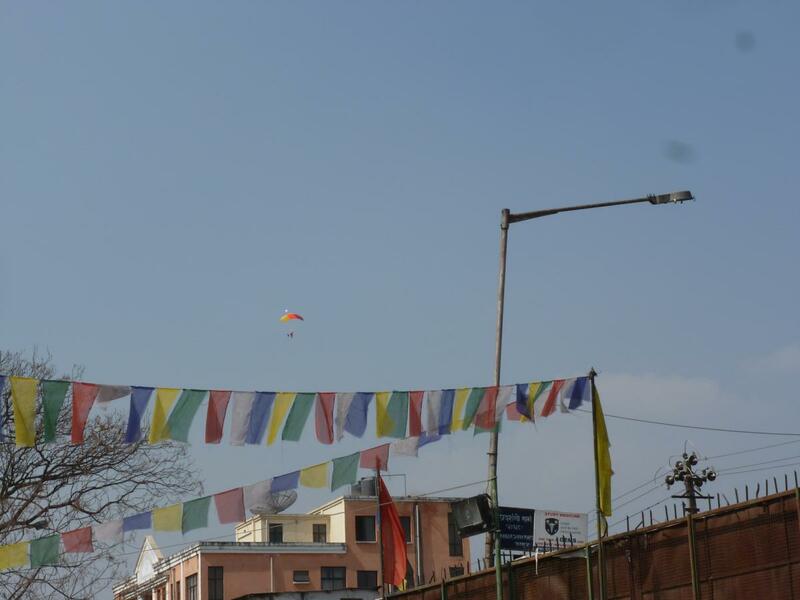 The way to get rid of the cold in Kathmandu is to eat food that is thought to produce warmth like Yomari and to of course dress warmly, but you can also sunbathe. Because women’s bodies are considered to be cold after giving birth, they are often encouraged to sunbathe with their babies. 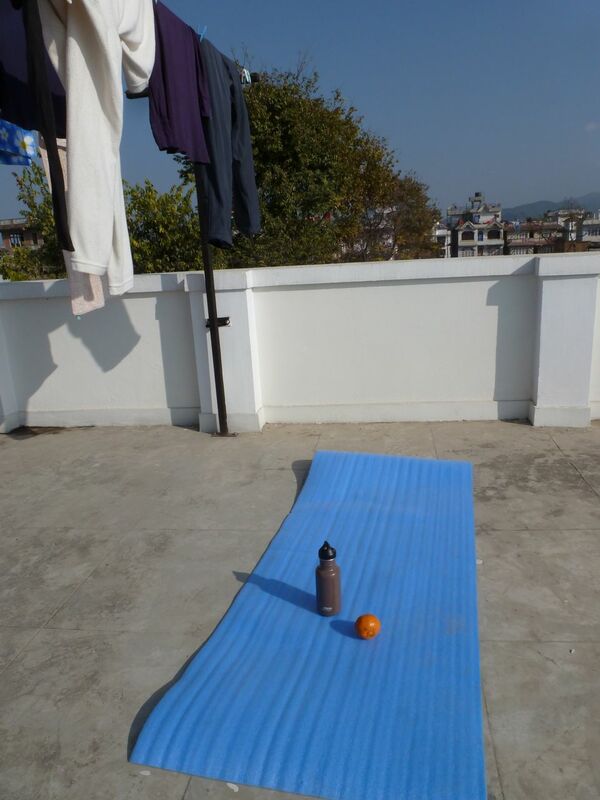 Traditionally, Nepalis might have taken sunbaths on woven mats called sukul (and many still do). To the right is a picture of one of my host families sitting on a sukul. But we don’t have one at our house, so we’ve been using a styrofoam mat that we found in a closet. One of my friend’s younger brothers is looking for a wife, and over the last few weeks, I’ve been following his story as it unfolds. First of all, I want to get it out there that I have no beef with arranged marriages that involve two informed and consenting adults. When I first heard the term, probably sometime in middle school, I was certainly shocked. It went against my American sensibilities that dictated that two people should fall in love before deciding to spend their lives together. It felt strange to me that someone would agree to marry another person without first getting to know them thoroughly. However, after reading more about it and broadening my understanding of the cultures that still rely on arranged marriages, I came to understand it was just another of way of doing things, and like other types of marriages, arranged ones sometimes work out and sometimes don’t. Although I had no problem with arranged marriages before moving to Nepal, I didn’t really understand the actual logistics of arranging a marriage. The logistics are obviously different in different places, but in Nepal, as I’m learning, it’s very much of a word-of-mouth kind of process. My friend told me a few weeks ago that her brother wanted to get married. When she mentioned this to me, he had just arrived for a three-week visit to Nepal from the US, where he lives. The day after he arrived, she told us that he wanted to find a bride, get engaged, and then have a wedding within three weeks. Engagements and marriages often happen on short notice in Nepal. You might meet up with an acquaintance, after not seeing her for a month or two, and she’ll announce that she’s getting married in a week! Marriage dates are often chosen by a jyotice, astrologer. If you go to see him about finding an appropriate date, he might decide that you should marry in a few months time or, after reading your birth charts, he may also decide that you should do it immediately. The other thing is that getting engaged and getting married often happen within the span of about a week, so for my friend’s brother to be engaged and then married very soon after the engagement is not so unusual. What surprised me was that he wanted to do everything within three weeks. Usually, at least in my experience, the bride and groom will have known each other for a while before getting engaged. Sometimes they will have been together for many years, as is more common among younger, urban Nepalis who have boyfriends and girlfriends. But even if an arranged marriage is taking place, families will meet their potential son or daughter-in-law at least a few months before the wedding takes place. Hearing that my friend’s brother was hoping to find a bride, get engaged, and be married all in the space of three weeks was quite a surprise. Imagine going from being single, without a boyfriend or girlfriend, to being married within three weeks! Although, because he lives in the US and only rarely gets to come to Nepal, I understand why he wants to rush things. The process started with my friend and her family branching out, talking to all of their family, friends, acquaintances, close and distant to find out if they knew of a girl who was looking to get married. Because all of this was happening on short notice, my friend and her family really had to bust their butts to find a girl, and it hasn’t been easy. My friend was saying that finding a girl who has a similar educational background and who is not already in a relationship is very difficult. She said that she’s been hearing about a number of potential brides, but then she’ll find out that they already have boyfriends. As “love marriages” become more common, I imagine setting up an arranged marriage is becoming harder and harder. There are professional matchmakers in Nepal that provide customers with a set of potential spouses for a fee. But from what I’ve seen, people more commonly find spouses for their children through personal connections. The person who identifies the spouse for a family’s son or daugther would be considered the matchmaker, and it can be risky business. If one of the young people back out or the marriage goes south, the matchmaker may end up taking the blame for the failed marriage. I’ve heard some Nepalis say they won’t get involved in matchmaking expressly for that reason. 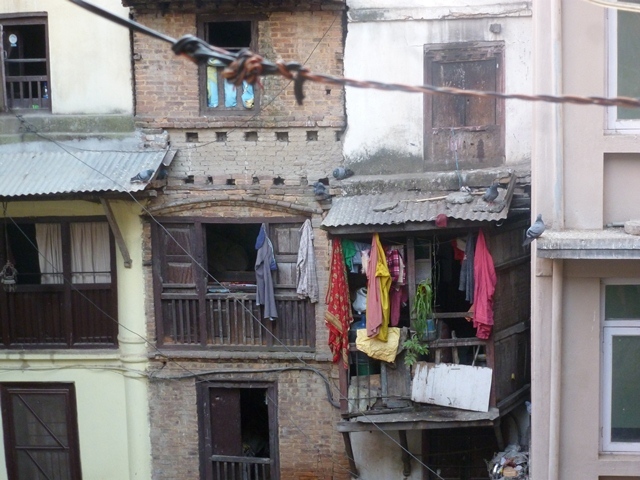 Another part of having an arranged marriage in Nepal is finding someone of the right caste. Many Nepali families, especially ones in urban areas, are more open to intercaste marriages these days. I don’t think many would go as far to say that they’re okay with their son or daughter marrying a foreigner (luckily I found a Nepali family out there that is 🙂 ), but intercaste marriages are becoming not only more common but much more socially acceptable as well. My friend told me that if her brother had had a girlfriend from another caste, her family would have been fine with it. But because it’s an arranged marriage, they want to find someone within their own caste/ethnic group. Because my friend is Newar, she and her family have been looking for a Newar girl. While arranging the marriage of someone, finding the right fit can take a few tries. In years past, I think parents would more often make the decision about their child’s spouse for them, but these days, grown children are often given the opportunity to meet their potential spouse, talk on the phone, and maybe go one a few chaperoned dates. While the decision is still very much a familial one, children now have a say. This period of negotiation also happened with my friend’s brother. A few years back, he started the process of looking for a wife. Pictures and descriptions of girls who were also looking to get married were sent to their house. He then chose a few girls he wanted to meet. But after meeting the girls, something or the other just didn’t feel right, so no engagements moved forward at that time. But when I saw my friend on Tuesday, she said that they had found a girl they really like. Everything seemed to be going well. They were planning to be engaged on Thursday, and if my friend’s family had its way, they would be married before her brother left this weekend. However, I saw my friend today, and something was wrong. Apparently the bride and groom called the engagement off. I don’t know what happened; even my friend isn’t sure. But I can say that no matter whether it’s an arranged marriage or not, finding a someone you can spend the rest of your life with takes time! And probably shouldn’t be rushed in three weeks.